Eating the MND way every day – 17-a-day average! Some days, actually pretty much every day, I am asked what I eat. I eat an EXTREMELY nutritious diet, and this is important. I have written about this, and it would be WELL WORTH you taking some time to read these links in this post, as this is fundamental to what MND is all about. See, I don’t want an ‘average’ life, I want an exceptional life, so I don’t want to eat an ‘average’ diet, I want to nourish my body with exceptional nutrition. I don’t want to die at an ‘average’ age, I want to live to an exceptional age. I don’t want ‘average’ levels of energy, I want exceptional levels of energy. I don’t want to have the body of an ‘average’ 45 year old looking back at me in the mirror next year, I want to have an exceptional physique for a 45 year old. I don’t want to ‘show up’ in my career, my relationships or my sports at an ‘average’ level, I want to be freakin’ exceptional in every way that I can be. Maybe I’m an arrogant prick with lofty ideas, but if so, then to hell with it, that’s who I am, follow me or go read some other blog, ‘cos this is who I am and this is what I want and this is what MND is all about – you either ‘get it’ and like it, or you don’t. – it’s long, I don’t care, it’s bloody good stuff, I urge you to find the time to read it and share it with everyone you care about! Another long one, sorry peeps: Are all calories created equal? 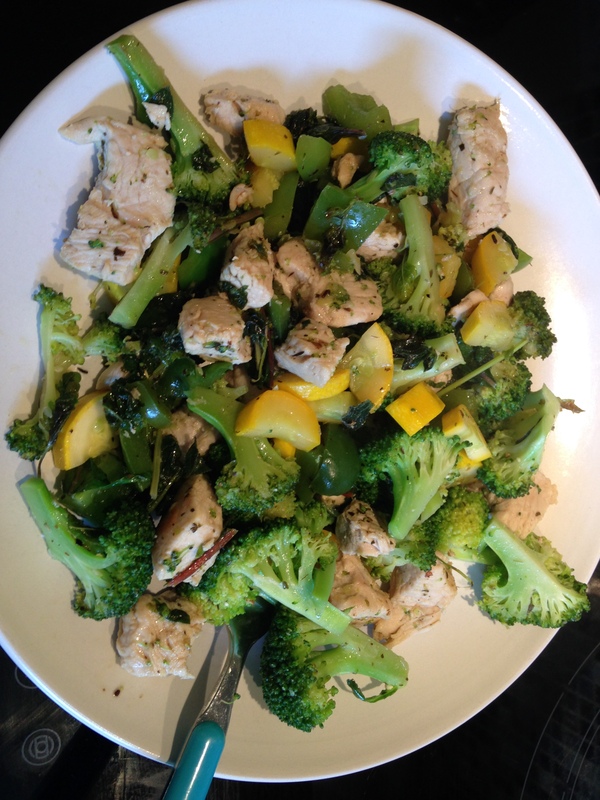 – you need to read and understand this post, there is NO ROOM for “empty” calories in my diet. I want every gram of food I eat to offer me something, FUEL MY FIRE for LIVING, I don’t have the spare energy to eat crap that slows me down, I’m a man on a mission in life and every scrap I eat has to feed my body to do everything I want it to do – if those calories ain’t packing nourishment, I ain’t eating them! 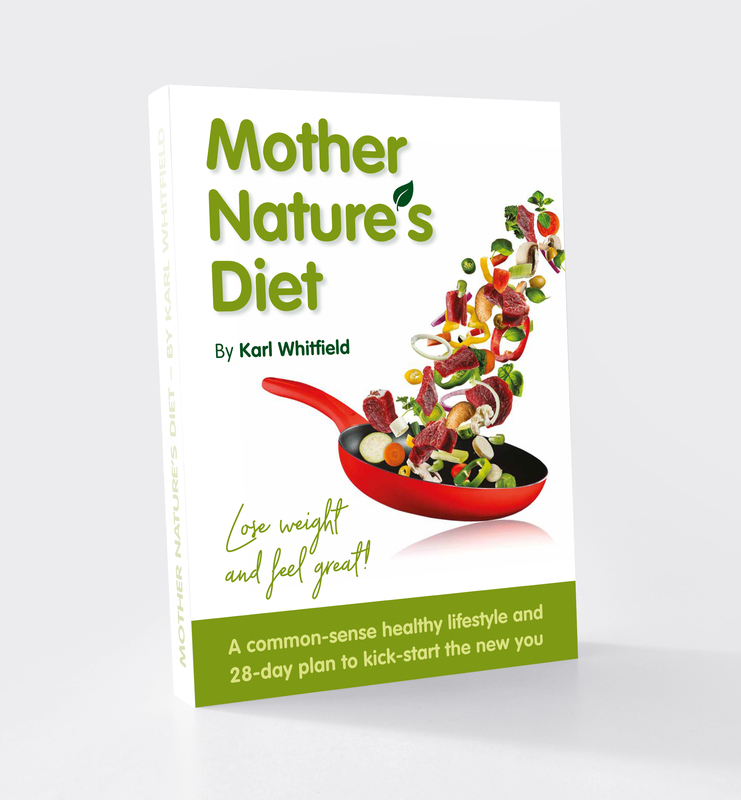 And finally – It’s not just about weight loss!!! Skinny people die too! So I thought I would post up just what I eat to pack in that AVERAGE of 17 servings of vegetables (and some fruit) every day. Breakfast – eggs and greens. 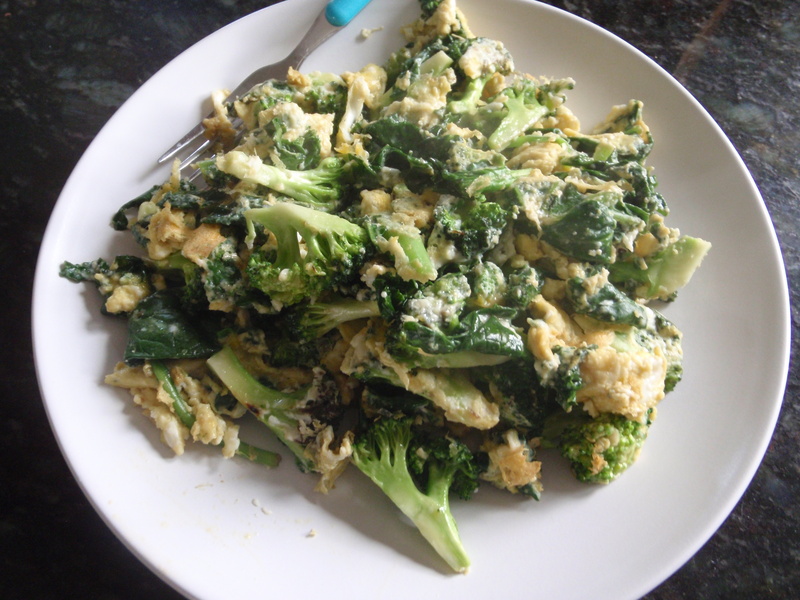 That’s 5 eggs, and then there is broccoli, kale, dandelions, spinach – more greens than eggs! 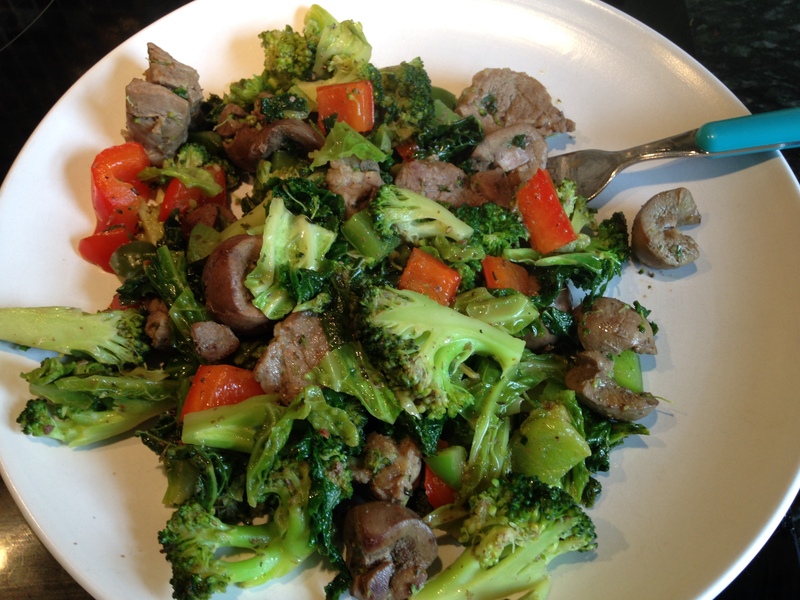 Dinner – MND home made kidney and steak and veggies. This is a kinda whacky MND version of steak and kidney pie…only we don’t eat pie, so we use veggies as carbs instead of pie casings! Otherwise, it’s just lambs kidneys, some tasty steak, loads of veggies and some herbs. 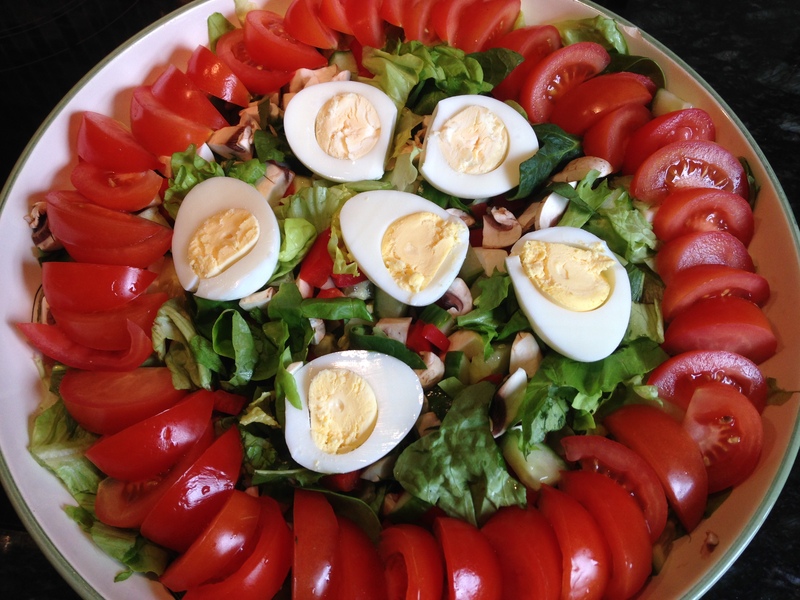 And if it’s warm weather and I don’t want 3 cooked meals in one day, maybe I’ll have a salad – when I make salad, I forage leaves from my garden, dandelions from up the lane, and my salad looks like art on a plate. I love a big salad! During the day, I will eat 1 whole white grapefruit, and probably 1 apple. THAT, is how you get 17 portions of mostly vegetables in you in 1 day, EVERY DAY, and enjoy your food. MND is not “just another paleo diet” – if you know my story then you’ll know I was paleo 3 or 4 years ago, but I found the paleo movement getting all bent out of shape by too many people who think it’s just an excuse to eat their own body weight in bacon every day and lift heavy things. When they start making “paleo chocolate muffins” I moved on…caveman didn’t eat bloody chocolate muffins!!! See my thoughts on the paleo diet here – Paleo-Reality Part 1: What’s right and wrong about paleo diets. MND – fuel for inspired living.